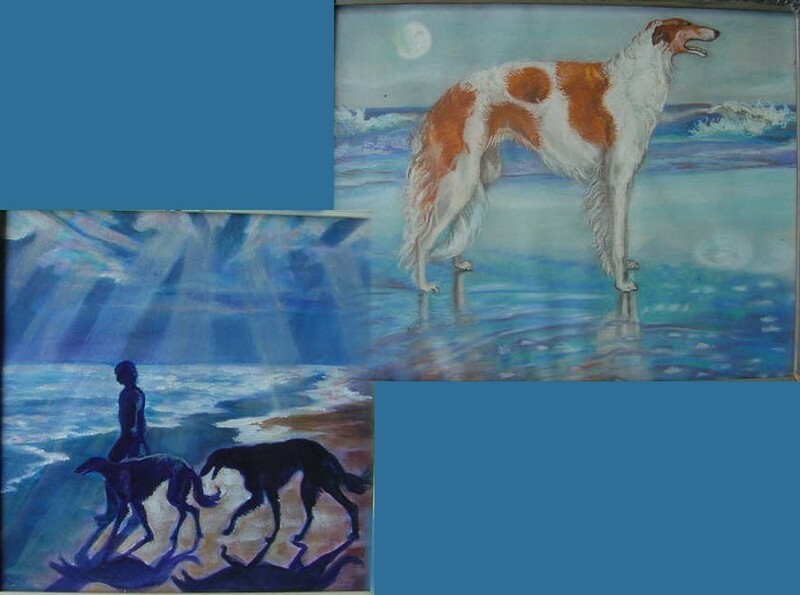 Paintings of our first Borzoi. Rafter and Shea. Painting done for Linda Mazor on right. 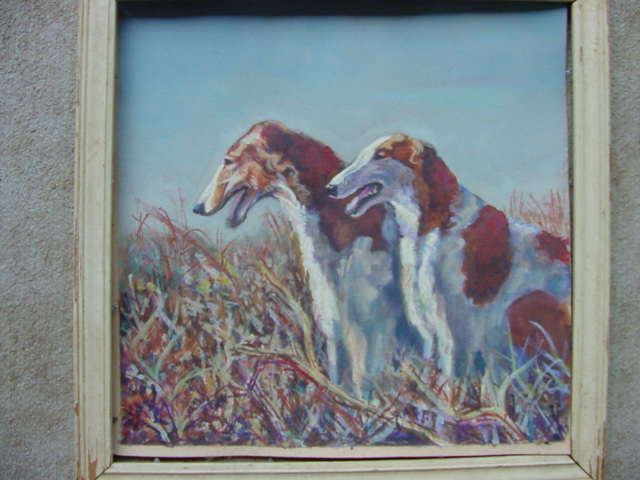 We just got a new Borzoi, 'Suede' from Charles Tyson. Look for his picture in the future.